A 14-YEAR-OLD BOY is in a serious condition in hospital after falling from a bridge. 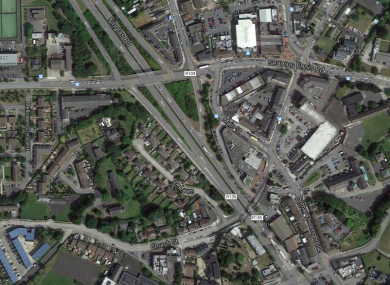 Gardaí are investigating the incident, which occurred at 4pm today on the Finglas Road in North Dublin. The boy has been rushed to Temple Street Hospital with serious injuries. Gardaí said that nobody else was injured in the incident. Email “Gardaí investigate after boy (14) seriously injured in fall from bridge”. Feedback on “Gardaí investigate after boy (14) seriously injured in fall from bridge”.